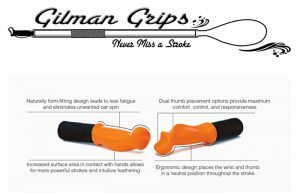 Designed for fishing guides and anglers, drift boats, whitewater rafting, or just getting out on the river, never miss a stroke with the Gilman Oar Grip. 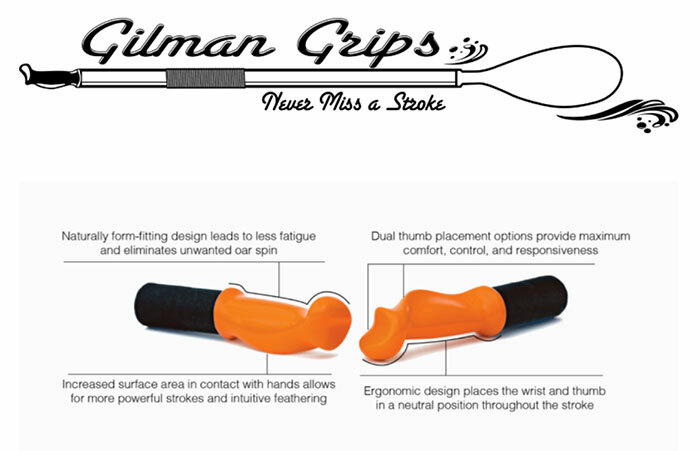 Fully compatible with Cataract Oars, Sawyer Oars, and Edge Oars, the Gilman Grips patented design directly orients the rowing blade into the water with a precise feathering angle, and ergonomically neutral position of the wrist and thumb. This unique design keeps the blade near the surface of the water, eliminates unwanted oar-spin, and prevents missed strokes. In fact, there is virtually no setup time between strokes. Intuitive feathering, instant rowing feedback, and powerful strokes equal less shoulder and wrist fatigue. Never miss another stroke!